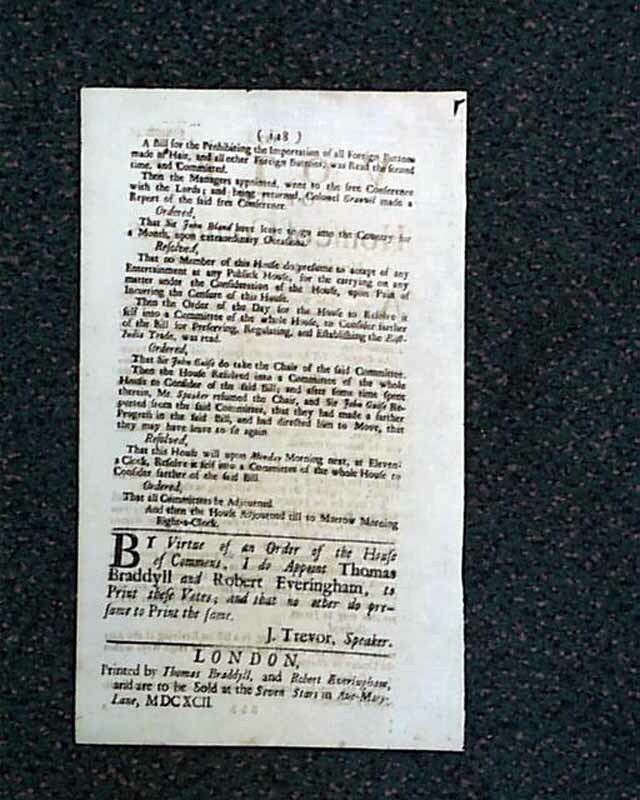 Item # 121061 VOTES OF THE HOUSE OF COMMONS, London, England, 1692 A rare British newspaper much the size of others of the day. 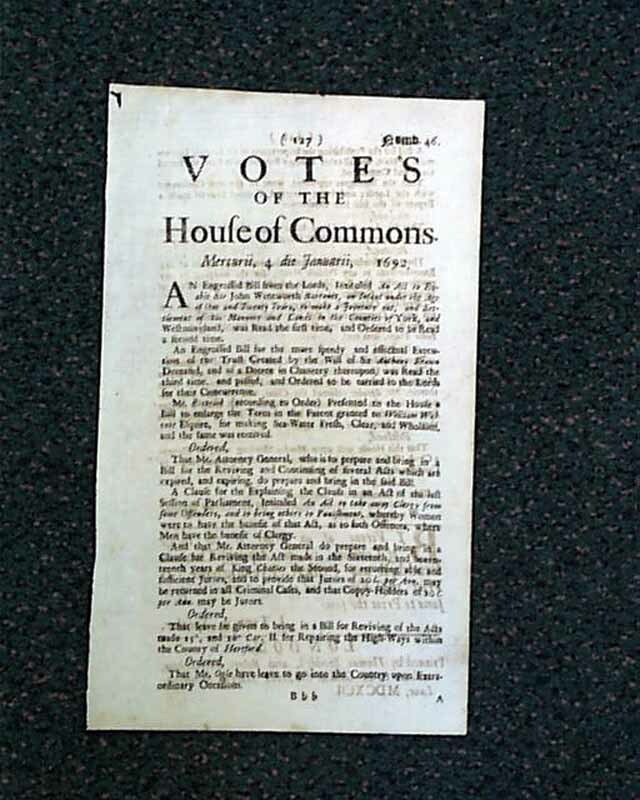 Fine & lengthy reporting on votes and other actions in Parliament. Nice condition & rarely offered at such a price. Note that the photo is "generic" and the issue you get will not have these specific photos or be of this specific date--but will have the format as shown. Single sheet, measuring approximately 11"x7".